Anyone got any guy friends or relatives who are not into sports or hunting? I certainly do! 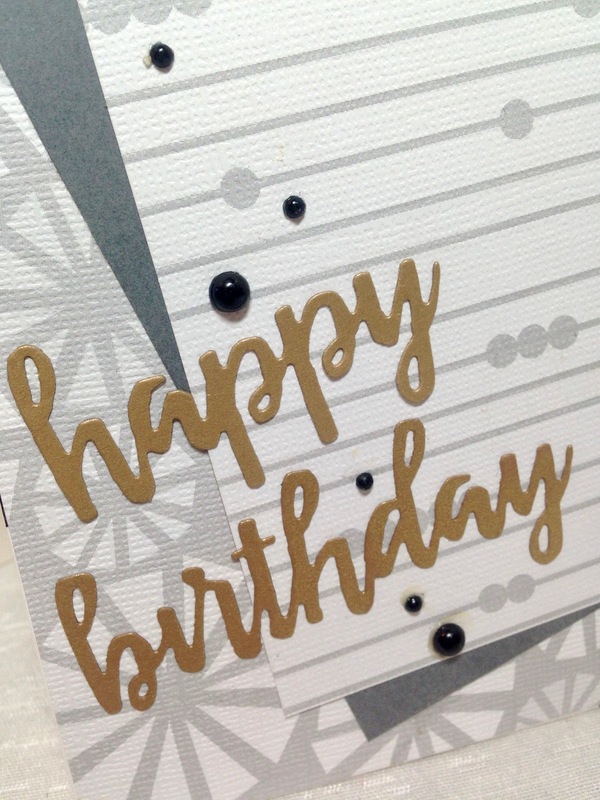 My daughter and son-in-law's birthdays are only a week or so apart. Last week I shared the birthday card I made for my daughter's birthday, this week I'm sharing the card I made for my son-in-law's birthday. Although Jason is very fit and athletic; an accomplished gymnast and dancer, and he also runs regularly, he is not into competitive sports. So when I spotted this card HERE I thought it would make a good alternative to the traditional sports/hunting card. Of course I had to change all the papers and sentiments to use what I had on stock, but the concept is the same. 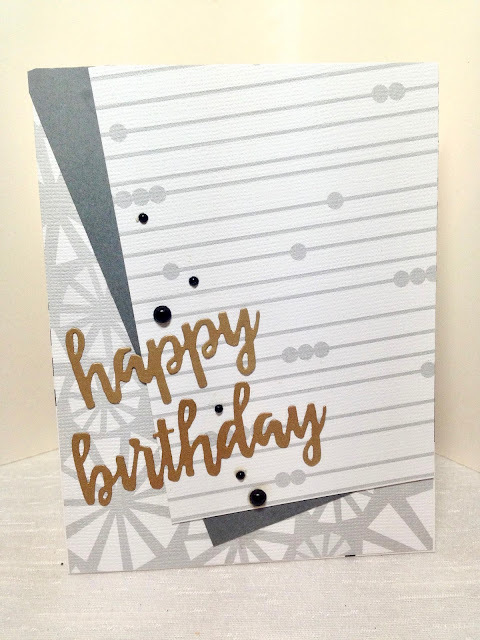 The sentiment is a MFT die cut from gold metallic paper, and the little dots are black metallic embellishments glued on. I really liked the clean, modern design of this card. It was so quick and easy to make too! 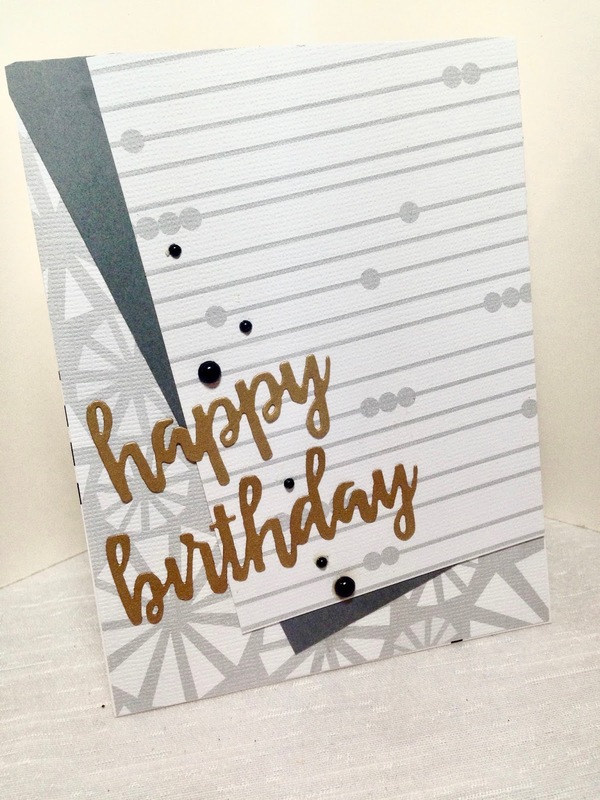 What a fun design, perfect masculine card!